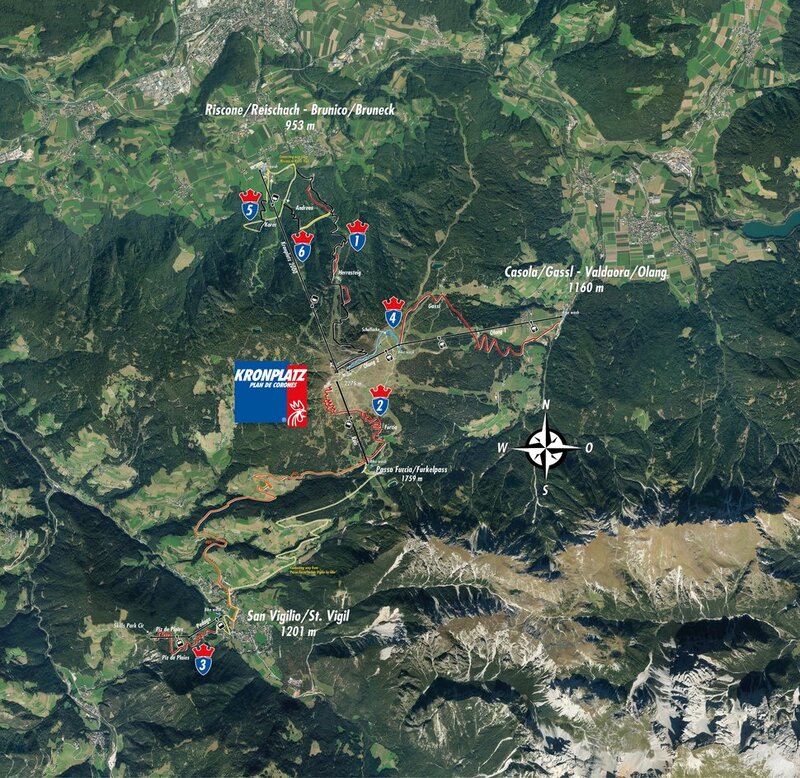 Not only in winter: Freeride makes Kronplatz to THE meeting point for sporty people and outdoor freaks in summer too. 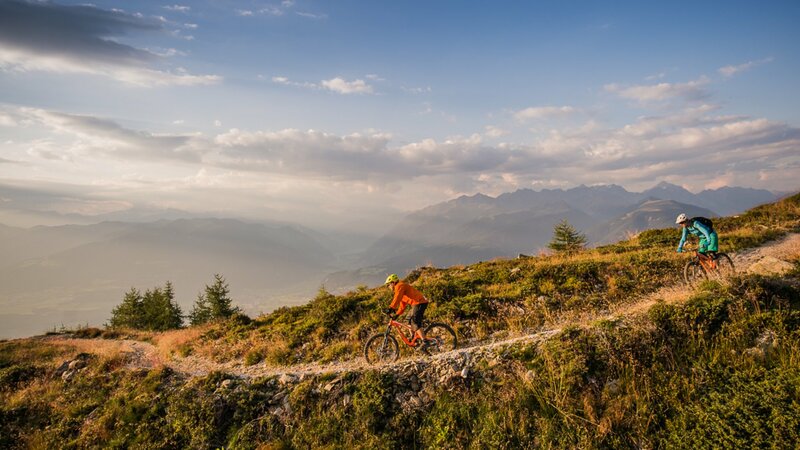 Freeriders have the possibility to bike on 4 different trails: one with an easy-medium level of difficulty, two with an average level of difficulty and a difficult one for freeride-professionals. Pure adrenaline is guaranteed! If you don’t feel confident enough on the bike yet, you can book some hours with a qualified Freeride Guide. There are many rental shops around the Kronplatz where you can rent the bikes and the appropriate protectors. To get on the top of the Kronplatz you can use the cable cars of Riscone, Valdaora, Furkelpass and San Vigilio di Marebbe.